Kacie is a mesmerizing movement artist whose unique and entertaining style blends technical precision with playful sass and joyful abandon. “You are a Wizard! I believe in magic now!” -Jake, 8 years old. 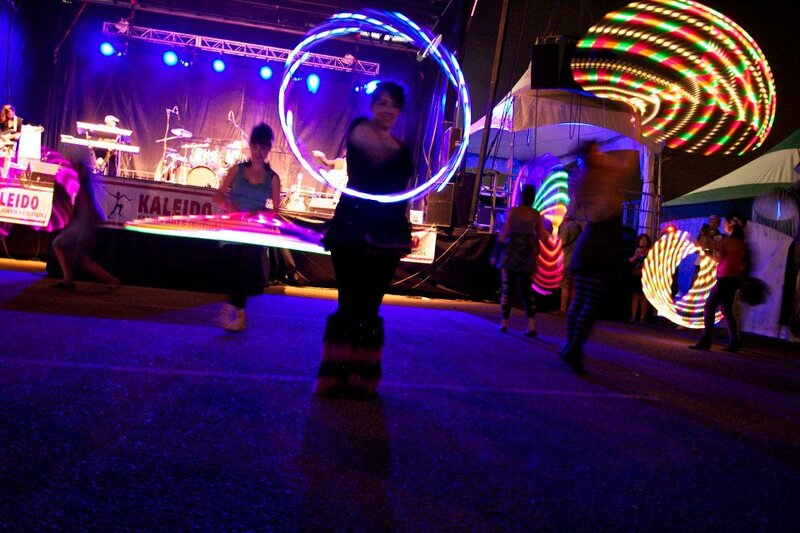 Working with a variety of props, hoops, flags, fans, poi, staff, scarves or silks, Kacie can provide daytime shows or exciting LED/ fire shows for evening performances.